Dipak Kalra will be speaking at the BioData World Congress in Hinxton 2-3 November 2017. Could you please introduce yourself and tell us about your main roles and activities? 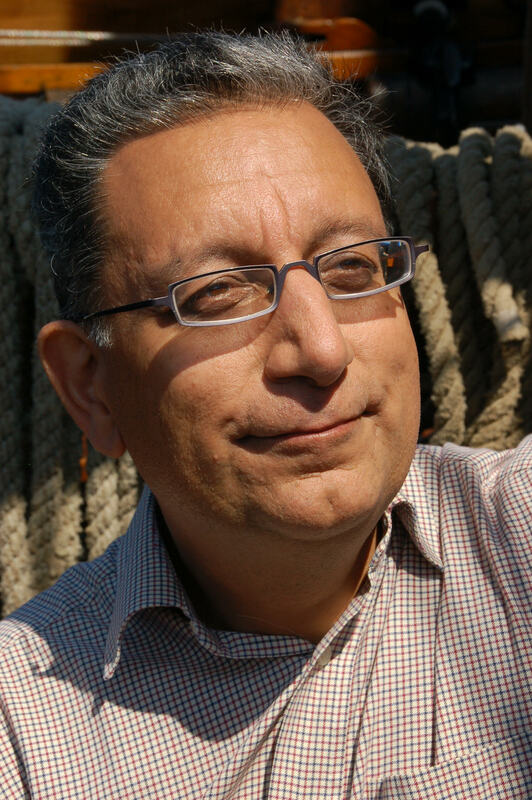 My name is Dipak Kalra and I am the President of the European Institute for Innovation through Health Data (i~HD). I am also a Professor of Health Informatics at University College London, and affiliated with University of Gent. After an early career in general practice, 25 years ago I moved into health informatics focusing on electronic health records. Over that time I have worked on the clinical, ethical and legal requirements for electronic health records and on the development of international interoperability standards. Over the past decade I have also been involved in research on the reuse of electronic health records for clinical research, working alongside large pharma companies. I am particularly interested in how we can encourage the better use of standards, promoting good data quality and data sharing, and enabling the trustworthy uses of health data to improve quality of care and to accelerate research. What are you going to talk about at the BioData World congress in November? The focus of my talk in November is information governance: how we can best protect the privacy of patients when we wish to analyse large populations of electronic health record data in order to optimise clinical care pathways or identify the patients most appropriate to invite to participate in clinical trials, and how we can scale up big data research. These various and important uses of health data pose information governance challenges that society is aware of. I will be outlining those and the ways in which we can move forward to establish societal trust and good practices. a) what will the EHR look like in the future? How will genetic data be treated in relation to EHR information? Historically we have thought of the electronic health record as the integration of data collected by health professionals at different care settings wherever the patient has sought care. We now recognise that patients themselves will be important contributors to their own health records, as well as important users and decision-makers based on their information. This also means that health information will include wellness and health maintenance information. The growth of precision medicine invites us to consider the EHR also containing increasing amounts of genomic, proteomic and metabolomic data. Although there remains interest in centralising this data at regional levels, as data hubs, many people now feel the lifelong electronic health record for a patient will be distributed at many locations and accessible through federated data queries. The EHR for a person might therefore be more virtual than physical. b) what electronic health record systems work well and why? It’s difficult to give a precise answer, and certainly difficult to finger products that work well or don’t work well. However, we should remember that EHR systems historically have been used at the healthcare organisational level to improve efficiency, maximise reimbursement and to collect certain benchmarking information that is often used for national and international comparisons. Despite many years of promoting data entry by clinicians and the importance of clinician benefit from EHRs, many clinicians still tell me they regard the EHR system in their organisation as cumbersome to use, demanding of data entry effort and poor at giving them back useful insights that support them with clinical decision-making. The systems are getting better, but procurement priorities still insufficiently prioritise the functions needed to maximise clinician-patient benefit. c) how may researchers get involved in research on big datasets of EHRs? Access to large datasets is quite restricted, and most large data sources are selective in the organisations with which they will share data. Researchers will need to be part of a well recognised research institute, such as a university or a company dealing specifically with the development of health related innovations. They need to develop, or work within teams that have developed, high calibre scientific research questions and have protocols that will ensure trustworthy scientific results as well as trustworthy protection of privacy during the research process. Could you say a few words about the openEHR Foundation and its mission? The openEHR Foundation was formed almost 20 years ago in recognition of the need to develop and promote best practices in the representation of electronic health record information, and the development of tools and methods that can support clinical communities aligning on the way in which they wish to capture and share fine-grained clinical information, across specialties and professions. It has been the strongest influence on the evolution of EHR interoperability standards, whilst itself remaining an agile, community driven organisation. What would you advise to young scientists who are at the beginning of their career these days? It would be difficult for me to give advice across the wide range of research scientists. However, I would say that one of the commonest pitfalls I see of researchers in the middle of their careers is that they have invested in pioneering innovations that are scientifically exciting, but they have not always thought through the relevance of those innovations to potential user communities, the priority problems those users are facing and the practical ways in which their research innovations could be applied to deliver realistic and affordable solutions. I think too many researchers embark on very long term and ambitious missions, without extracting milestone achievements and delivering them into the real world. The work of DNAdigest is made possible due to our sponsors.